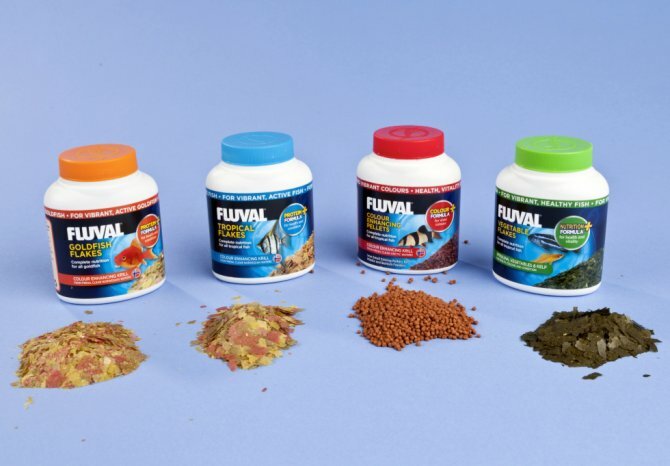 Aquarium giant Rolf C. Hagen has revamped and spruced up its old Nutrafin Max range of foods, and the results look promising, says Nathan Hill. All of the foods we’re trialling have a pungent garlic odour to them, and the ingredients always rank it quite high up, which is great if you’re after feeding response and digestibility. Fluval has opted to use Herring as a major constituent for its foods, citing a higher availability of Omega 3 than in Salmon-based diets. In fact, an eclectic fusion of ingredients across the board makes for interesting reading including Krill, which is heaving with immune-boosting and colour-enhancing carotenoids, as well as massive amounts of Spirulina in the vegetable flakes. The colour-enhancing pellets make a nice alternative to many of the coarse granules on the market, and they sink nicely, but not at the kind of speed that makes them inaccessible to mid-swimmers. Protein levels are sensible compared to some brands; the tropical flakes only contain 44%, which makes it filter-friendly too. Straight out of the tub, the flakes suffer from what I call 'small flake syndrome'. Whether it’s just the samples I have or whether it’s across the board, I have food that’ll be great for smaller fish, but big species could make a mess of it. Pessimists might note that the flakes are quite anaemic looking and paler than many dried foods we’re used to using. In Hagen’s defence, artificial colours aren’t used in their flakes, and this paleness shouldn’t reflect any compromise on nutritional quality. An improvement on the old range as far as I’m concerned, and more than acceptable for the majority of fishkeeping exploits you might have planned. Watch that big fish don’t make too much mess or ignore smaller pieces. Chock-full of immune-boosting carotenoids and garlic. No artificial colours; what you see is what you get. Heavy krill use means good fish colours. The flakes are very flimsy for bigger fish. Price: Tropical Flakes 32g, £4.19; Vegetable Flakes 32g, £4.09; Goldfish Flakes 32g, £3.49; Colour Enhancing Pellets 90g, £7.99. 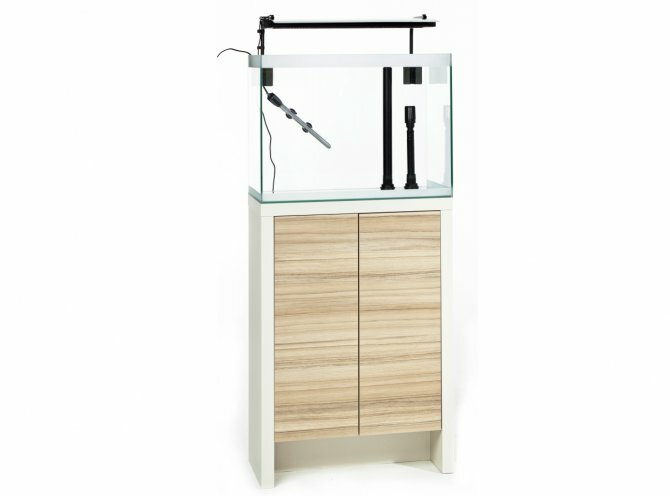 Nathan Hill checks out this new Fluval aquarium offering from Hagen. Fluval’s recent aquarium launches have been appearing in stores all over the land, and playing with one myself, I can see exactly why. The open-topped concept seems slow to be embraced in the UK by a wary public, but Fluval’s clever approach to frosting the top couple of inches of glass creates a pretty convincing illusion that it’s not ‘naked’ on top. Combine that with the way that this lighting unit can be straddled across the top with flaps attached, a 'faux' lid effect can be had for those wary of suicidal, sky-bound fish. The tank has enough height to give it presence (45cm/18" to be exact) and for a 60cm/24" long tank, it comes across as an imposing chunk of water. In the cabinet, there’s plenty of space inside for the filter one side, and a shelf in the left partition makes chattel storage feasible. The lights are outstanding! I’ve reviewed the Fresh nano lighting before, with glorious praise, and this strip is worthy of equal, if not better genuflection. Running at 6,700K, it provides crisp, intense plant-friendly beams without creating that unusual ‘colour shadowing’ that some other multicoloured clusters do. Hooked up on the supplied holders, I’m only using mine for simple Vallis growth, but have every confidence that it’d perform impeccably on a fully ‘scaped set-up, as my nano model did. Filtration is the trusty 206 external canister, hooked up beneath the tank and linked to the standpipes that sit through the drilled base, and that’s excellent for convenience. Heating is one of Fluval’s 100w submersible heaters, which is accurate and reliable enough, if a little physically imposing in the tank. Some might find that the cabinet sits a little too high for them, and even when I’ve positioned mine, it has a towering, monolithic feel about it. The cabinet stands at 85cm/33" tall, and to my knowledge there’s no squat alternative in production. The height had the disturbing effect of creating some instability in my own model, and it took some personal tweaks and wedging, involving cramming supports under the front edges, in order to get it to sit comfortably. I concede that my own tank was sat on carpet and not the most level of floors, so other users might find my reservations unfounded. The back pane of glass has two brackets stuck directly to it, into which two arms can be placed to suspend the light. These brackets have the annoying trait of being right in the way of putting a backing sheet onto the tank, so expect to have to do some trimming. For what it’s worth, that’s a small concession for being able to hang the lights. The light has both day and night settings, but being activated with a switch between the two, it’s impossible to arrange a transition of daily/nightly cycle using plug in timers. I can’t help but think that I’d have appreciated the option to cap off the holes — alas, no plugs are provided — if wanting to run my own alternative filtration or use the tank for competition aquascaping. The hosing supplied is a little longer than needed, so be advised that you’ll end up with a small spaghetti bundle of plastic underneath the tank when it’s rigged up. Oh, for Fluval to start producing its own in-line heater — hint, hint. Get it on a wood floor with the appropriate surroundings and furniture and it’s absolutely mint. It might struggle to fit in with more traditional homes, but it definitely has a place in most. Is it worth £500? The entire package is pretty good going, considering the jump from classic T8 or T5 tubes to a fitted LED rig. Throw in the option of caps for the drilled base and it will be even better. The frosting on the top and the way that it catches the LED lighting, making it glow when the illumination is on. How simple it is to attach the suspended lighting to the rails or flit between that option and the extended arm method. How the filter pipes are pre-positioned, as when it comes to day-to-day tanks, it riles me when hoses run up and down the back. The extra height. There’s a time and a place for shallow tanks, but if you’re after big, bold and punchy, then you’ll adore this. The return flow standpipe is just that tad too high, and unless I’m prepared to have the water fractionally below the rim, all I can hear is that return flow glooping and splashing. Long hoses without the option to trim them (they have fixtures connected at both ends). I desperately want the option of capping off the drilled base if I want to. Unless the water level is at the bottom of the frosting, there’s an odd, eye-distracting shadow that bugs me. The whole thing is very top heavy if you have to put it on carpets. Of all the tanks I’ve owned, this is the one I’ve been most nervous about toppling. The heater is ugly, but I’ve yet to see one that isn’t. If a productâ€™s involved with Seneyeâ€™s Matt Stevenson, I take interest, says Nathan Hill. This is the man who designed the Seneye. In a world of sheeple following each otherâ€™s designs, Matt is one of the unique minorities coming up with new stuff. The box can potentially save you money on outside electrical installations. If you want to run a multi-port socket in the garden, you can now get away with it without having to splash out on expensive outdoor sockets or the electrician needed to install them. You can easily slip a four-way socket set inside, and the cables then run out through the sealing, watertight ports to your pump, lighting etc. Once the lid goes on and clips into place, those sockets’ll stay dryer than a Charlie Brooker sketch. And it clips into place very easily. It’s made from UV resistant polypropylene, too, so it’ll not bleach or split in the sun. Seneye even throws in a couple of cable ties to keep things tidy. It is just a waterproof box. There’s not even a four-way plug included in the package, so that’s an added cost. The plugs would make all the difference to me! I’m not even sure that aquarists asked for this piece of kit, so I suspect it’ll have a limited audience. I could be wrong. I hope I am. It’s not quite as robust as it might at first appear. I reckon that a charging kid or bulbous bouncing dog in the garden might be able to break it open if they gained enough velocity. If it’s the difference between this and a £75-an-hour electrician coming to install my garden electrics, I’ll take this. Would I extend so far as to use it indoors with my aquaria? Maybe, but I’ll probably wait to see if the price drops any before I go that far. I think it depends on how seriously you take the risk of electric shocks. Only takes one four-way plug at a time. 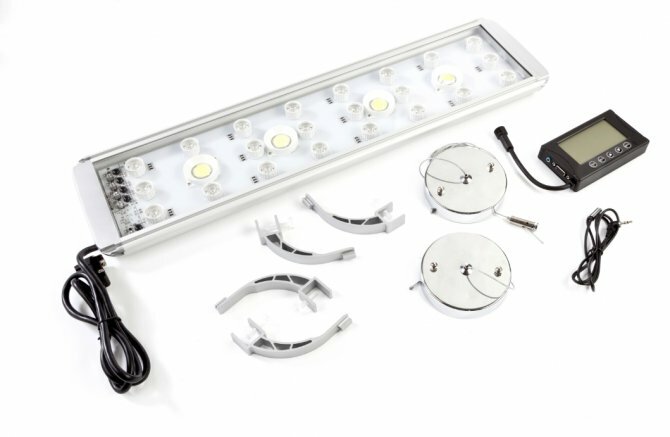 The new dimmable Onyx by Rapid LED offers a mix of 14 CREE XT-E Royal Blue, eight CREE XP-G White, one CREE XP-E Green, four Semi-LED Violet UV and one Oslon 660nm Red LEDs, writes Chris Green. The lenses are 100 degrees for the red and green, and you can opt from a choice of 40, 60, 80 or 100 degrees for the others. Coming in at a 90w power consumption, that works out at roughly 3w per light (plus power for the fan), and with a 3m/10' power cord, you should have no problem with plug access. The unit itself is compact and weighs around 1.7kg, which is somewhat of a relief because you only get the option to suspend the light with the supplied hanging kit, as there is no bracket to mount it on the tank (this may be due to UK legislation). The hanging kit wires extend to about 2m/6' and are long enough to reach most ceilings I would have thought. The DC controller for manual dimming has three separate light channels: blue, white and red/green/UV ranging from 0-10v — 1v being 10%, 2v being 20% and so on, with 10v being 100% intensity. Without the controller, the light will operate at full power. You can buy other analogue controllers but at considerable cost. Tweaking the colours can be somewhat taxing and annoying, especially when you find your preferred setting only for something to knock the dial on the controller. It took me two weeks to find a colour-mix that my corals and I were happy with. The unit has a single fan, which although not silent, is not deafening either and similar in noise level to a PC fan. With this, is a nifty heat sink that is easy to maintain and keep clean. 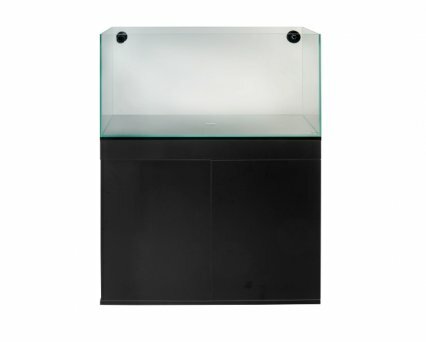 The company recommends that one unit will be ample enough for a 61cm/2' cube and you can link other Onyx to each other with the correct cables to cover larger tanks and areas with three being recommended for a 2m/6' tank. It’s claimed that this light will be powerful enough for SPS and LPS coral growth and I tested it on a 94 l/21 gal River Reef that was supplied with 2x 36w PCT and the difference that could be seen compared to the supplied T5 PCT was astounding. Fish, coral and rock colours stood out more and the fish seemed bolder under the new lighting, despite the increase in brightness and intensity. The blues really are intense and you get a very good spread of light with good depth penetration as well. Of course, you also get that lovely glitter and glimmer that is expected of LED lighting these days. All my soft corals seem to love this light, and, based on the parameters this light has, I feel confident that it would cope relatively well with most light demanding corals. The first major downside is that the cables from the dimmable controller to the light unit are far too short, being just shy of 61cm/2'. Coupled with the controller power cord being just over 2m/4', I feel it is far too short to be fully adaptable to most aquarists’ needs. It should be longer so that you can hide it away in the cabinet if needed or away from the tank and out of sight. Considering that the light unit itself has more than an adequate length of power cable, this disparity is slightly vexing. The instructions consist of a sheet with half a dozen pictures that show you how to connect the hanging kit up and some basic FAQs about the use of the controller, and that is it. No tools are supplied, but you need an Allen key at the very least to secure the clamps on the hanging wires. I also feel, if legislation would allow, that a bracket to mount the light over the tank would be beneficial, as not everyone can suspend a light from their ceiling, nor want the prospect of heavy-duty wires and cables on show. A manual dimmer is maybe a poor choice when other lights have not only digital control, but fully programmable and nature replicating options. That said I absolutely love this light. It is tremendous value for the money and small enough for most nano aquaria. Despite the lack of detailed and informative instructions, it is easy to assemble and suspend. Sound-wise, the fan is quiet enough so it isn’t that noticeable. It looks neat, tidy and good quality and is a fantastic product. The company gives an 18-month warranty on them and a five-year return and fix policy. I’m not sure how this would work for returning to the USA though. If I upgrade to a larger tank in the near future, then I’ll consider running two or more of these in line rather than a bigger single light unit. I would like to see how this tests long-term and with light-demanding corals, and I look forward to really giving this light a good workout. Price: £299 (non-dimmable), £349 (dimmable), and £24.99 (manual controller). I donâ€™t think I even need to explain what Catappa is now, says Nathan Hill, but just to recap it seems that all things from the Terminalia catappa tree (or Indian almond tree) are teeming with antibacterial, antifungal and even a little antiparasitic compound. So why bark? Well, I’d raise two points. 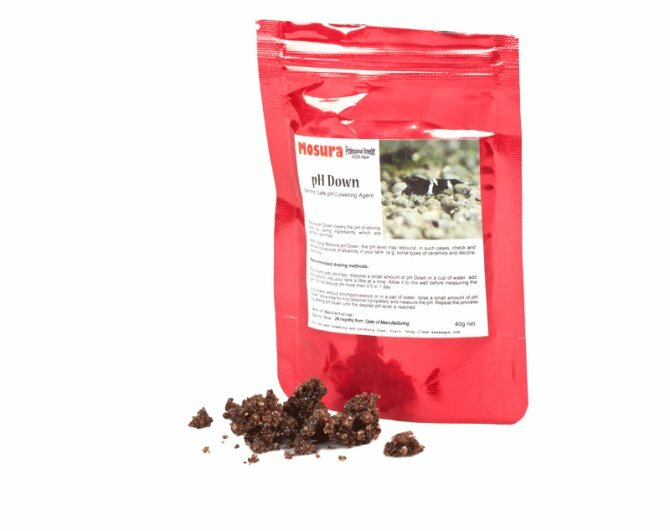 The first is this stuff lasts and lasts compared to the leaves that you’ll get a couple of weeks out of at best in a densely populated shrimp set-up. The second point is that it seems to contain a lot more tannin than the leaves alone do. Get a bottle and stick a couple of pieces in, and then do the same with a couple of leaves and compare after a week. You’ll see a difference. The instructions say to boil for five minutes prior to use, but I’d say this is optional. In fact, the only thing it really does is speed up the sinking time, which can be a few days if left to its own devices. They also advise to replace after two to three weeks, but unless you’ve got a plague of shrimp that could strip a human body in hours, then I think you’ll get a lot longer. Besides, even once inert, there’s nothing offensive about the pieces of bark, and scattered on a natural looking tank they blend in with leaf litter and other debris nicely. Dosage is quite important, and some users have reported outbreaks of slime on fish, gasping and distress (so basically all the symptoms of your typical pH crash) but only when being liberal with the amount added. The packaging recommends one piece per 120 l., and with a little careful cutting with scissors, you can soon scale pieces down accordingly for smaller tanks. £6 might be a little harsh for 20g of wood, but I’ll concede that it does what it’s supposed to. As it is, it’s right on the cusp of what I’d pay out. Before you know it, weâ€™ll all be keeping copepods instead of fish, given the rate at which so many species are currently in vogue, says Nathan Hill. Acartia tonsa is gold dust in copepod form. A tiny inshore species of calanoid copepod, these little curs have a fine pedigree in producing exceptional fry in fish. In fact, out of a range of tiny foods used in research to rear juvenile Cod, Acartia produced not just the best growth rate but also the least deformities. Another reason to be a fan is the ease of keeping. Out in estuaries, Acartia tonsa tolerate a huge range of temperatures from 9 to 30°C/48.2°-86°F. On top of that, they’re not even fazed by salinities that would whup a lesser species, from 17-36ppt. As a first copepod project, you could do considerably worse, given the hardiness, or alternatively you could just hurl a load into a refugium and leave them to their own devices. They’ll breed away down there, providing a food source for all manner of inverts and finicky gobies and dragonets, and although they’re not really up there as waste munchers in the way some calanoids are, they will have a slight, negligible impact on waste levels. I’m loving all of these copepods hitting the market. For too long they’ve been the domain of public aquaria and research facilities, and it’s high time they made the leap into the hobby world. 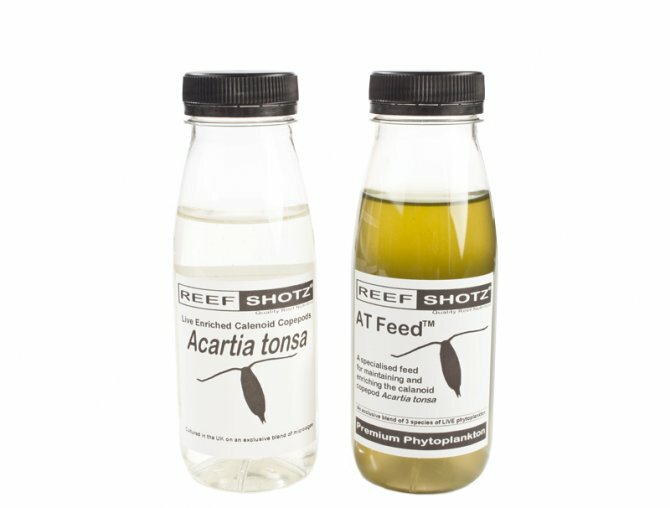 I suspect Acartia could up the prospects of successful fish breeding in a game where we have for ages relied on cultures of rotifers and Artemia and hope to raise paltry fish numbers. This is a snail trap that doesnâ€™t work on a one-way gate or 'lobster pot' style of entrapment, says Nathan Hill - it requires the aquarist to literally fish for his or her snails. The footprint of this trap is a couple of inches across and resembles a UFO, which I guess for snails it is. You bait the trap with a little dried food in the centre tube, tucked safely behind tiny fissures so that the snails (and fish) can’t actually reach it, and then you lower it to the base of the tank, and sit and wait. Once you have a few customers inside it, you can lift them out, flush them off and start again. Unlike some designs, this one actually cannot trap small fish, but if you try to just leave it overnight, the snails can come and go as they please. Without the aquarist periodically plucking the thing out when it’s sagging with passengers, it won’t do much. If you’ve got clumsy hands then you’ll swear like a trooper trying to thread the thin wire included in the package, but once it’s on, it’s on. The wire’s about a metre long, so as long as your tank isn’t any deeper than that, it’ll work. If you’ve got any sense, you might even tie the free end to a fishing float while it’s in the tank, to save you trying to work out where the line’s gone if you drop it. Bait is included, and seeing as the trap isn’t designed to be used overnight, there should be little issue with it decomposing. Once you’ve run out, you could always just try some sinking pellets in it for the same effect. If you don’t mind lifting the thing up and down, like some snail bathysphere every few hours, then you’ll love it. If you do, then you’ll hate it. 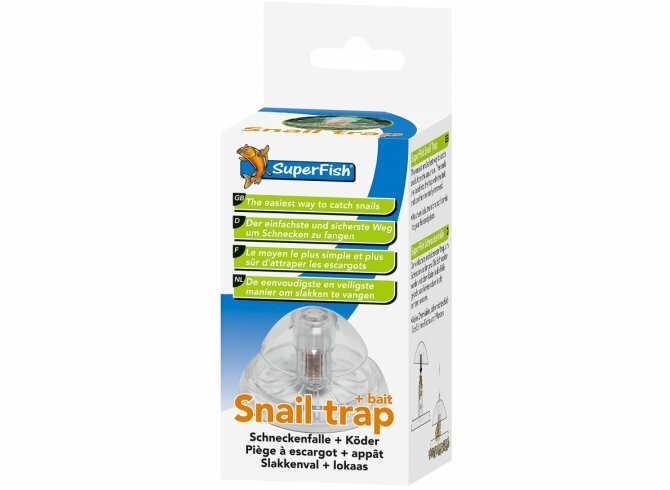 Ultimately, it removes snails as it says it will, and it doesn’t trap fish. And that’s what snail traps are all about. The products in this new range come with some large claims, says Nathan Hill. So we thought it best to send samples of the food out to a wide range of real world aquarists to get a broader lowdown on how it behaves. FishScience is the new food range from Dr David Pool, formerly of Tetra fame and now flying solo with his own brand. Kicking off, Brian Wolsoncroft of Surrey notes that: "Both flakes and pellets looked good and smelled fresh." He found that: "The flake was a little flimsy, unlike crisps, but not a bad thing as all my fish are small and had no trouble biting bits off." Lauren Malley of London concurs, saying: "I liked how the flakes were very light — very good for small fish." However, she adds: "The granules were a little large but only for my fish. I imagine that cichlids would take them well." Nicola Johnson of Truro, Cornwall, says: "The flake foods look like most other brands, if smaller. They hold their form well in the water for long enough before being eaten." Sharon Knott of Wirral, Merseyside, said that the flakes were a little too strong on garlic for her liking and suggests: "Maybe reduce the garlic content, as my fish are not fond of garlic." Sharon also noted that: "My fish didn’t go mad for this food like they do with normal food." However, on the whole the feeding response for the flakes was good, with the majority (ten out of 12) of testers replying positively when asked how well the fish responded to the flake both at the first feed, as well as after the four week trial. The granules seem more contentious across different mouth sizes. Lauren points out that: "The Penguin tetra didn’t touch it as it sank so fast that it shot right past them. It was a bit bulky for them anyway. The Cherry barbs took it and spat it out, a bad reaction on first feeding. The Corydoras ate it after it had softened on the bottom." By contrast, Sharon wrote: "Even my Synodontis that never leaves his rock comes out and goes mental for this stuff." Nicola found: "The granules were popular with all but my Betta. He ate a couple at first while they were still floating but wasn’t that interested." At the end of the trial she found that: "The Tiger barbs, Buenos Aires tetra, goby and Otocinclus have all been spotted digging in the gravel for missed granules after feeding." Regarding improvement in colour, the results at the end of the trial were mostly positive, with only a few reviewers noticing little to no change. Brian states: "I think the barbs are now showing deeper red and are constantly looking ready to spawn. The Ram’s blue is more intense as is the blue on the Cardinals." Lauren also noted a change in her barbs, saying: "The Cherry barbs were much more sexually active, perhaps a bit more red in the males, but I’m not sure." Sean notes: "Colour has improved in most fish; they are looking a lot brighter. The colour in my Dwarf rainbowfish has come out more than ever. They are truly stunning. The fish that have made the biggest gains have to be my Black ruby barbs. They have really blossomed showing incredible colour and size in such a short period of time." From the responses received, only one user noted a strong difference in water clouding when compared to using their usual Tetra branding. Universally, not one tester reported a change in water quality or the need for increased water changes while using these foods. Overwhelmingly, reviewers agreed that they would buy the flake bar one person, though it was closer to a 50/50 ratio of granule fans, with keepers of smaller fish citing unpalatability as their reasoning. 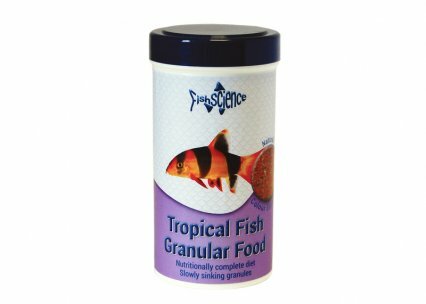 In FishScience’s defence, I did send the product out 'blind' and referring now to the packaging, the granules are intended for larger mid-water and bottom-dwelling fish. Overall, the outcome is good with colourful, growing fish and no noted waste increases. Good job! Jeremy Gay takes a look at this latest offering from iQuatics Online. The lighting market is a battleground with more competition than it has ever had before. LED continues to grow and develop, and even the average fishkeeper seemingly now knows much more than they ever did before about the science behind lighting. As people looked more into light spectrums, demand increased for lights that produce more violet hues, both for the benefit of the corals themselves and their owners, who sought better colour. High-end lighting companies such as Kz and ATI aquatics produced the first such 'purple' T5 tubes, and iQuatics Online now produces them too, only with its low, low price tags. For the techno geeks, these purple tubes have a peak around the 400nm mark, and for owners of multiple T5 luminaires, the norm is to add at least one purple tube to your blues and whites so that everyone benefits from that violet output. T5 Purple Tube Bulb comes in 24, 39, 54 and 80w sizes. 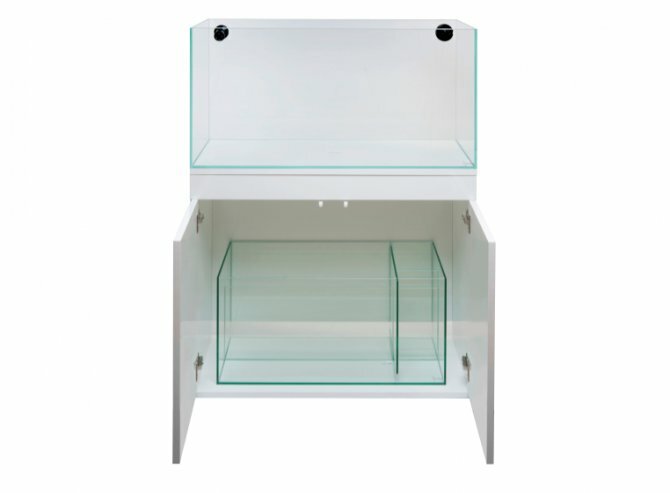 At the time of this review iQuatics had not produced one in the bespoke Juwel Aquarium sizes. Price: from £12.99 to £16.99. Available from iquaticsonline.co.uk. 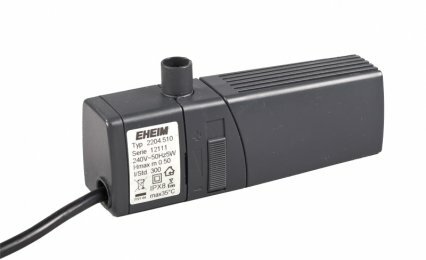 What you have here is something that appears to be an identical small pump that has been given three different applications and three different model names, says Jeremy Gay. 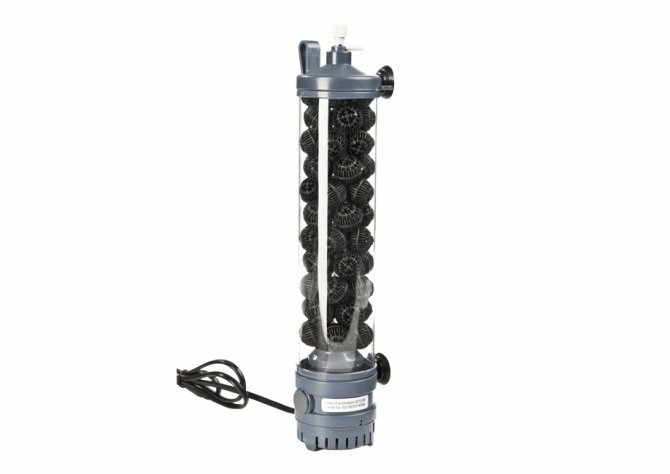 The miniUP is a conventional small internal canister filter, pushing up to 300lph (adjustable) and for just five watts. The miniFLAT is designed to be positioned on its back in shallow water, so it’s perfect for paludariums and the skim (pictured above) is a highly effective surface skimmer. I've tested the UP long-term but it’s just not like an EHEIM! I recall my criteria for internal filter buyers' guides gone by: multiple sponges for alternate cleaning, adjustable output, directional output, room for other media, no channelling through sponges, and ease of cleaning and maintenance. The EHEIM Aquaball internal filters scored top marks for everything, but this internal is riddled with issues. Yes, there are two sponges and adjustable flow but there is no directional flow, and all the dirt is channelled on to the fronts of the sponges and nowhere else. The suckers are small and poor, and when you go to maintain the filter the head unit and middle bit come off in your hand, when you really just wanted to access the sponges and leave everything else in the tank. I grew up with EHEIM being head and shoulders above the rest, but I have seen the competition catch up of late. And now for the first time ever, I think they’ve produced a filter that is no better than anyone else’s. It’s worse than some competitors in certain cases. On a much more positive note the EHEIM skim350 is a superb product. EHEIM led the way in creating surface skimmers for the inlets of their external filters and they did it decades ago. This time they’ve turned the miniUP upside down, fitted a surface skimmer to it and the result is a really well working, really cost-effective surface skimmer that is perfect for planted tanks and marine nano tanks alike, both of which are negatively affected by surface film. Note that this is not a protein skimmer though marine keepers, and although it will draw protein off the surface of saltwater really effectively, it will just shoot it back into the tank — unlike a protein skimmer that traps and removes it. The miniFLAT (pictured above) just does what it does. The miniUP is OK but could be much better, and I feel it’s not worthy of the highly esteemed EHEIM brand. It’s clearly a model where value matters, so why not rebrand it as such? The FLAT is more for the terrapin and amphibian market. That leaves the skim350, which is not only really practical it’s great value — I love it! They all use the same powerhead though, and it did occur to me that all three plastic bodies could be placed into the same package, meaning that you get three filters in one and loads of applications. Now that would be EHEIM innovation, but for now the only one I’ll be buying and backing is the skim350. Price: miniUP £21.08, miniFLAT £21.08, and skim350 £26.35. More info from J and K Aquatics. Nathan Hill gets excited over two cultures of copepod from ZM Foods, which finicky marine fish will find hard to resist. An awful lot of people I talk to don’t really 'get' copepods, admits Nathan Hill. The frequent consensus is that copepods are a bit like Daphnia, except smaller and for marine tanks. Alas, that’s firing pretty wide off the mark. Copepods differ vastly between species in behaviour, life cycle and even nutritional composition. What makes these two offerings from ZM Foods so exciting is that I’m currently looking at two cultures of 'pod with very different uses. ReefPods Tisbe contain the Tisbe genera of copepod, and specifically Tisbe biminiensis. Tisbe are far from 'marine Daphnia' in their behaviour. In the wild they are found in shallow waters where they live an almost entirely benthic existence, only getting swept up from the substrate when chance currents grab them. Down there on the base, they guzzle away on detritus and microalgae so quite unlike the suspended, pelagic kinds of copepod. They’re also small things with an adult length of between 0.7 and 1mm. What makes them so great? For a start, they’re the ideal food for those finicky Mandarins or Scooter blennies. Even better, they’re a natural clean-up crew. So if you’re sat on a sump or refugium, then I’d get a few pouches and empty them straight in there. The Tisbe will not only start quaffing organic waste but they’ll breed like guppies, hurling out a constant stream of young copepods to act as a supplementary food to the main tank. Yes they’re short-lived, lasting maybe 20 days at best, but it only takes the nauplii ten days or so to start producing young of their own. The other product, a bag full of orange speckles, is a pouch of ReefPods Tangerine. These guys are relatives of Calanus, a copepod I’ve raved and jabbered about many times before. Now I’ve got access to a living equivalent. Tangerine pods are noticeably larger, with a body size of 2-2.5mm. Unlike the Tisbe they spend their whole time bouncing around in the water column. They might not have detritus-eating benefits, but as a food source it’d be a brave or very obstinate seahorse that could refuse them. Other drifting plankton feeders like Anthias will be equally excited to have these. The Tangerine pods need feeding in their own right and with a little phyto- and zooplankton introduced to the tank, they should be able to live a complete life cycle — assuming they’re not all eaten in advance. If the young can reach about 12 days of age, then they reach the stage that they can start to reproduce. Alternatively, either of these copepod types can be cultured in a dedicated chamber (ZM supplies many if you fancy taking the plunge). So if you’re prepared to keep a brood on the go and constantly fed, you shouldn’t need to repeatedly invest in pouches to have an ongoing food supply. What’s particularly nice about both of these products is that they are actual tropical species, as opposed to the temperate offerings often seen but not long-lived. So at a temperature of 25°C/77°F these little fellows aren’t on borrowed time. At least not until some hungry blenny spots them. Marine copepods are at an exciting time in the hobby, and these two lines are excellent indicators of where we’re at. Successful cultures can be used to fuel species that are presently difficult to feed and rear — not just well knowns like seahorses or pipefish but also a whole range of filter feeders, possibly corals. Get stuck in and start a culture, you’ll be surprised at how addictive it gets. Mosura is a big brand where fancy shrimps are concerned, writes Nathan Hill. It has a huge range of foods, chemistry supplements and an awful lot of 'curious' products currently warranting some close investigation from myself. Armed with conductivity meters, expensive pH probes, and comprehensive test kits, I chose to take three products — Mosura pH Down, Mosura TDS Up, and Mosura Mineral Plus Ultra — to see how they behaved. For all of my tests, I used multiple one-litre samples of water to see what effects were had. At the start, all my samples had a pH of 7.65, with 14°GH and 6°KH. The temperature remained constant at 20°C/68°F, and conductivity averaged at 774μS. Mineral Plus Ultra is a re-mineral product for shrimp-use RO water but can also be added to the tank direct to increase GH. Based on pH values, at <6.3pH, 1.5ml per 10l is used. At 6.3 to 6.8pH, 1ml per 10l is dosed. No measuring device is provided, so you’ll need a syringe or otherwise to provide the correct dose. I used multiple syringes. Added to my samples, readings were consistent. At a dosage of 0.1ml, mixed in my litre samples, the only parameters that moved were GH. It was raised 2° to 16°GH, and conductivity was lifted to 785μS. KH and pH remained as they were. Mosura pH Down provided some unusual results from test to test and frankly needs a major overhaul for accurate dosage. Presently, the hard to measure, granular, crystalline substance is simply added to a cup of water and then slowly added to the tank 'a little at a time' in a truly unscientific way. I used a lump the size of a 20-pence coin to make a stock mixture in 250ml of water (same parameters as sample water) and then added 5ml to my one-litre containers. The pH certainly dropped — down to 5.5pH — and GH showed a descent to 11°GH. Conductivity dropped a little, moving to 725μS, though confusingly KH increased slightly, moving to 7°KH. On the other hand, a high degree of discolouring in the water was noted with an orange/red tint strongly visible. Mosura TDS Up is another in the line that needs to revise its dosage instructions, which currently amount to 'experiment a bit and see what happens…' The product claims to increase TDS and conductivity without affecting GH, though lowering pH slightly. For TDS Up, I placed single scoop (provided in the packet) measures to my one-litre samples. The average readings of the results were impressive on the conductivity front, for sure. Readings jumped to 3435μS after a minute of mixing, with a lowering of pH down to 6.75, and a tiny decrease in KH to 5°KH. Contrary to Mosura’s claim, my GH substantially increased in all samples, to an average of 23°GH. On the other hand, not only did the compound refuse to dissolve properly at 20°C/68°F, but it created a degree of frothing on the surface of my samples and discoloured the water as the pH Down did. Mosura Mineral Plus Ultra did what it said on the bottle, though for me, and for anyone with a basic scientific understanding, it would seem possibly cheaper and easier to simply buy the salts required direct from a chemist. TDS Up and pH Down disappointed me a bit with their ad-libitum approach to dosing rates. Frankly with chemicals that can influence water chemistry — and subsequently livestock wellbeing — so rapidly, I’d want to see exact dosage rates before unleashing this stuff onto people’s pets. However, in their defence, they all did roughly what they said they’d do — especially the TDS Up. Sort out those dose rates and instructions, Mosura, and you could have a good product. But don’t leave me guessing. If I’m unsure about how to use it, a newcomer almost certainly will be confuzzled by it. Prices: Mineral Plus 100ml bottle £14.99; TDS Up 40g pouch £16.99; Mosura pH Down 40g pouch £16.99. More info available from mosura-intl.com. Nathan Hill is cautious about this latest offering from Boyu - and less than impressed with the instructions, some of which have been lost in translation. Boyu, for the sake of my sanity, please employ a translator. Boyu’s 'Chinglish' efforts have long been the subject of office mockery, but with something as sensitive as a nitrate filter, accuracy is needed and instructions like "the outing water should be strictly prohibited to drop into the tank, or plenty of life forms may die," is not particularly reassuring grammar for an item of this nature. The filter itself works on the 'old school' anaerobic principle, though oddly, as far as I can tell, in total absence of any carbon source. I’m twitchy. Reference is made to 'white balls' inside, which I cannot see. Black bio media, yes — but white balls, no. The unit is rigged to a tank or a sump via either the attaching suckers or fixed bracket. The unit does not completely submerge, going only as far as the top of the main cylinder. The nozzle on top of that should be exposed. Turn the device on, let it fill to the top with the nozzle open and then close the nozzle. Keep it running just like that for the next three or four weeks. At this point, having had water recycling inside for that length of time, it becomes anaerobic and bacteria get to work on any available nitrates. After this inaugural period, the nozzle on the top is opened and water returned to the aquarium at one drop per second. Water is then tested and, if nitrate free, can eventually be turned up to two drops per second. That’s it. I’m nervous about the lack of an obvious carbon source, which can easily lead to bacteria creating hydrogen sulfide. This will kill everything if it starts getting into your tank. The obvious benefit of this device is the cost. Some nitrate removers can be expensive, especially if taking the replaceable resin path. This model is rated for tanks of up to 200 l/54 gal, but even if it works you’ll still need to do those all-important water changes. It’s cost effective and if it works then nitrate removal is nothing to be sniffed at. If it goes astray and starts growing the wrong bacteria, you’ll have corpses before you even notice the rotten egg smell. I want to trust it, but I’m too cautious. 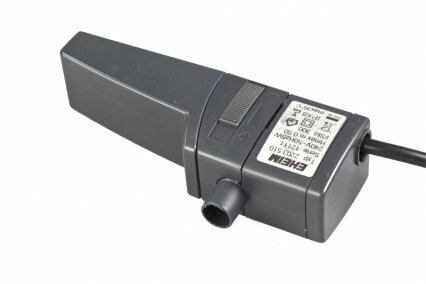 Price: XG-300 £49.99, from All Pond Solutions. Adding leaves and other natural dÃ©cor seem to be becoming an acceptable pastime for aquarists now that weâ€™re beyond the stigma that objects had to come directly from an aquatic store to be aquarium safe, writes Nathan Hill. Pollywog Frog Farm offers a wide range of terrarium and paludarium gear which I’ve been investigating for suitability in the aquarium. My current favourite is most likely the Savu Pod. 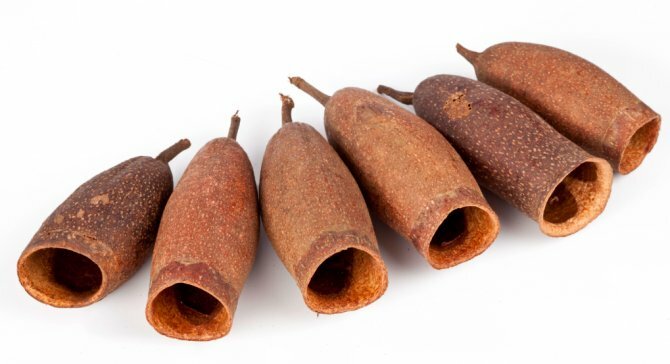 These are seed pods from the Cariniana legalis tree, known locally as Jequitiba, and from the same family of trees that produce the Brazil nut. They rank as some of Brazil’s oldest trees at more than 3,000 years. The pods come in three sizes and sink about 12 hours after entering the water. I found nothing in the botanic or medicinal world that hinted at toxicity fears with these pods, aside the inherent effects of humic and tannic acids to some animals. 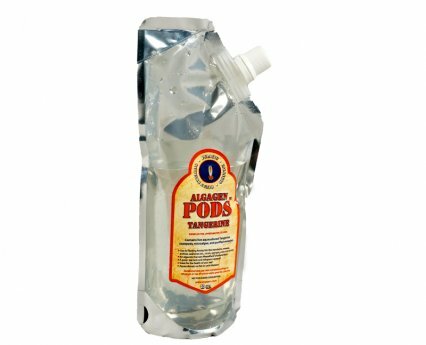 Savu Pods are no use to keepers of alkaline species. The amount of tannin leached is initially remarkable, but my carbon dealt with most discolouration inside a week. As for effects on water chemistry, it’s hard to say as I already have so many other acidic elements to the tank. Safe to say that these will influence pH downwards. 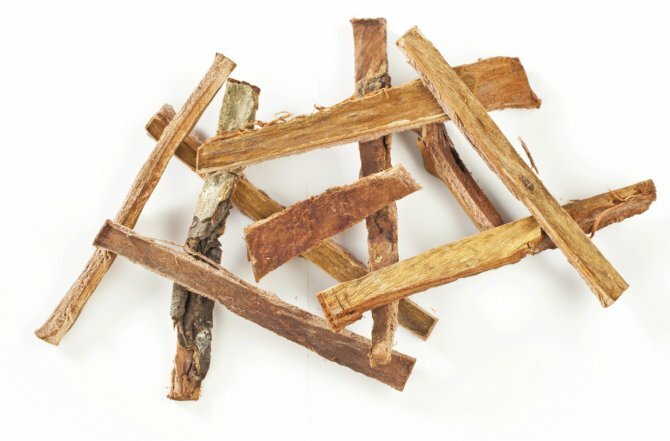 Records show that extracts of Cariniana have an antibacterial effect and chemicals derived from Savu flesh have been seen to inhibit both Flexibacter columnaris as well as some Aeromonas types of bacteria, so potentially there are health benefits in the same vein as almond leaf or alder cone use. Even better, once the pods do sink and stay down, they make perfect caves for spawning dwarf cichlids and ideal boltholes for smaller catfish. The pods currently come in two sizes, though I suspect that more will eventually follow, depending on demand. 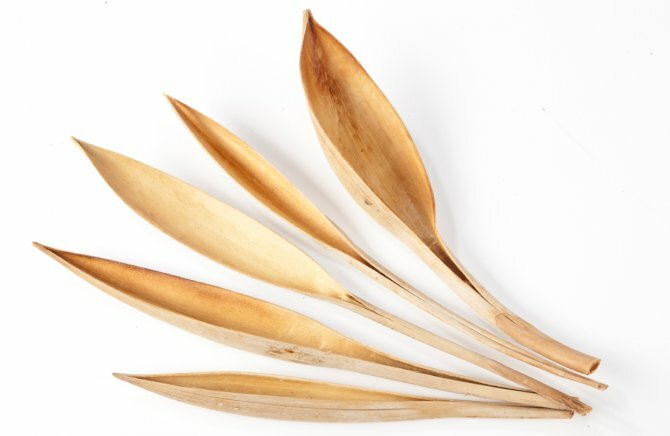 They represent wonderfully natural-looking décor for the South American fan, but they haven’t been used widely enough yet to ensure complete safety, so tread carefully. Although my experiences show no adverse symptoms on fish, something, somewhere may react badly to them. 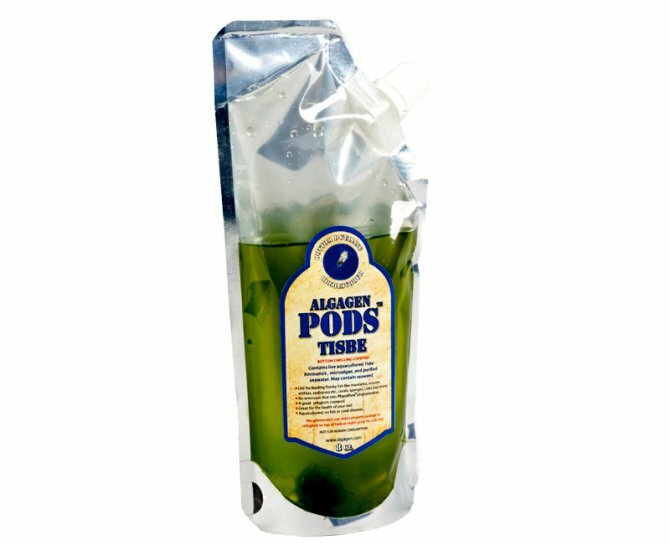 Price: Three-pack medium pods £4.50, five-pack small pods £4.99. More info from pollywog.co.uk.